Laparoscopic surgery is the gold standard in human medicine. We are proud to begin to make it the gold standard in veterinary medicine as well, and are one of only a few providers in the state who are equipped and trained to perform laparoscopic surgical procedures for dogs and cats. 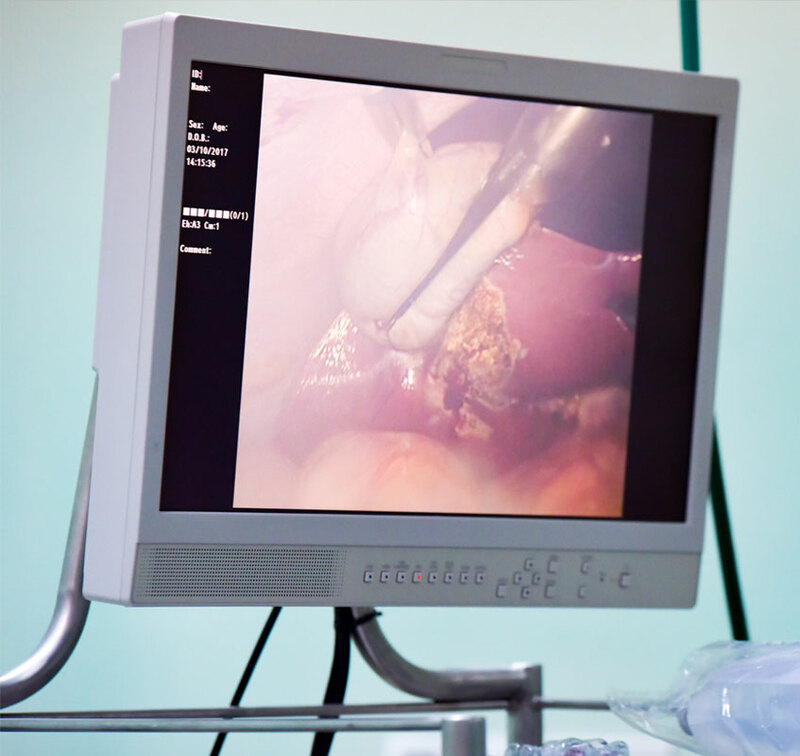 Often referred to as "keyhole" surgery, laparoscopic surgery utilizes miniaturized and high resolution cameras along with advanced surgical tools. Laparoscopic surgery is a minimally invasive surgical technique that results in a substantially safer and more effective surgical procedure. The wounds are smaller, the recovery time is faster, and post-surgical pain is lower. It is often an excellent technique for spay/neuter procedures, intestinal or liver biopsies, stomach tacking, bladder surgery, and more. We are proud to bring this cutting edge treatment to you and your pet. We believe you deserve no less.